This is a list of relevant questions to ask and review a foundation repair contractor. In the Dallas Fort Worth area there are over 200 foundation repair contractors. So before you sign a contract, you should verify the answers to these 10 questions for a review of a foundation repair contractor. 1. Does the Foundation Repair Contractor have adequate insurance? 2. Is the Foundation Repair Contractor reputable? 3. Does the Contractor offer more than one repair method? Why is this necessary? 4. Does the Contractor perform a licensed plumbing test after the repair? 5. Will the Foundation Repair Contractor have the utility lines marked by DigTess? 6. Is a building permit required to perform foundation repair? 7. Is a Professional Engineer’s Report required? 8. What is the physical address of your operations? May we see the facility? Lack of a physical facility for construction operations raises the question: Is this a serious or a part time business? 9. Does the contractor have a foundation repair license? Below are suggested answers to the questions above. Liability insurance and Texas Worker’s Compensation Insurance are important safeguards should someone get injured or a catastrophic accident occur. Always ask to see the Certificates of Insurance. Look for third-party evidence, such as Better Business Bureau ratings, or reports in Angie’s List. With regards to the Better Business Bureau, the Dallas Better Business Bureau and the Fort Worth Better Business Bureau maintain independent records and do not cross-check one another. They have a policy of only rating the contractor with one bureau, so don’t discount when the other bureau doesn’t rate the company. Granite Foundation Repair is accredited by the Dallas Better Business Bureau. 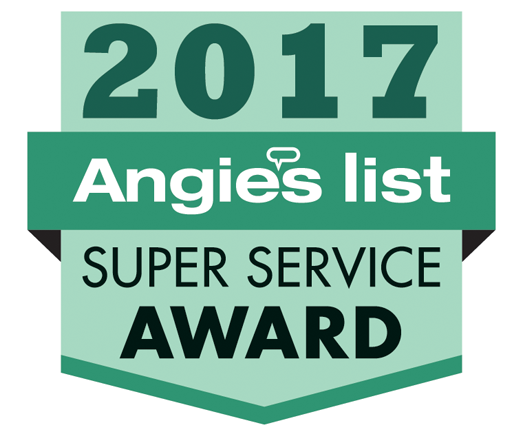 Granite is a recipient of the Angie’s List Super Service Award for six years. Each property has unique needs. Some properties require the installation of underpinning and piers, while others require drainage correction. A structure may be too light to withstand adequate installation pressures for pressed concrete pilings (straight steel or helical steel piers may be needed). The State of Texas requires that any person performing a plumbing test be a licensed plumber. 5. Will the foundation repair contractor have the utility lines marked by Dig Tess? Utility line marking is the law in Texas. The organization of utility inspectors, known as DigTess (1-800-Dig-Tess), must be given two working days to perform underground line location and marking. 6. Is a building permit required? 95% of cities in the Dallas Fort Worth area require that a building permit is obtained before foundation repair can begin. Both the homeowner and contractor can be subject to fines for non-compliance. If in doubt, call your city building inspection department. A professional engineers report is mandatory for foundation repair work in any city that requires a building permit. The report is mandatory in the sale of a home obtaining FHA or VA financing. The report is not required for shim work on Pier and Beam homes. If a report was not created for the work, the absence of the report may delay the sale of a home. 8. What is the physical address of your operations? May we see the facility? The State of Texas does not offer any type of license for foundation repair. In 2011 and 2013 the Foundation Repair Association introduced state bills to license foundation repair. The bills died both in the Texas House and Texas Senate. Cities that require a foundation repair permit usually require that the permit holder register with the city. If you are currently looking for a foundation repair company in Plano or the Dallas-Fort Worth area we would be happy to answer any questions you may have. Visit our homepage to find out more about our services.